I wanted to post here to get your feedback about the direction I'm going. It will be harder to make course corrections once I'm 2,000 entries in, versus now when I only have ~200. If you wouldn't mind taking a quick look and letting me know what you think (any initial thoughts? would you use it? suggestions? ), I would be grateful. I'm a big fan of massive piles of data that are sortable and extractable. I'm impressed! [year] A = April general conference talk, and [year] O = October GC? Excellent. Fulfillment = when a prophecy was fulfilled? Where do you get the data for things like backstory and tags and whatnot? Meanwhile, on an unrelated note, is it difficult for you to be around horses? A common error. 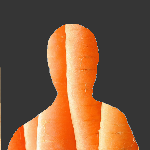 When put next to each other, the words "car" and "rot" do indeed look like "carrot". As for the fulfillment, backstory and "purpose", I fill that in myself if possible, trying to be objective and use evidence from the text. You're right about the Fulfillment part. Tags I just sort of make up. Maybe I ought to add a key somewhere to help people decode the UI. @isacarrot Great idea for sorting promises. Am I blind? Where is 2 Nephi? No promises there? Hi all! Just wanted to announce that I just now finished indexing every promise/covenant in the Book of Mormon*. There ended up being 1,023 entries. The metadata is still largely incomplete and messy - that's my next task. But thought there might be someone who would find this interesting. Looking for feedback if possible. Cheers! This is amazing. Did I already say that? [scans up the thread] Ah - yes I did. Well, it's still amazing! - Some of the promises are to "his family" "his brethren", etc. Since it's called out independent of "from whom", maybe update those promises to "Fred's family", etc. - I wish there was a way to have groups or categories in the "from whom" and "to whom" selections. I want a quick list of all the Lord's promises to me, for example. Haha thank you! I think both of your comments are great ideas. I hope that this website eventually becomes more practical - in the sense that I can search for all the Lord's promises to me for example. Continuing with that example, the tricky thing is that some promises are given by someone that isn't the Lord to someone else that isn't me, but still apply as if they were given from the Lord to me! For example, in 1 Nephi 13:37, an angel says to Nephi, "blessed are they who shall seek to bring forth my Zion at that day, for they shall have the gift and the power of the Holy Ghost; and if they endure unto the end they shall be lifted up at the last day, and shall be saved in the everlasting kingdom of the Lamb; and whoso shall publish peace, yea, tidings of great joy, how beautiful upon the mountains shall they be." Although this is most directly a promise from an angel to Nephi, it is indirectly but arguably more importantly a promise from the Lord to me and others in my era. The problem is that I'm trying to follow the text as close as possible when filling in the metadata - so this promise will not come up in the results if I were to search for promises from the Lord to me.